From the picture above, it appears that Peaches just barely manages to keep herself balanced while contorting to reach her front. In Peaches' defense, it takes more work to reach your chin when excess piggy pudge or "winter padding" gets in the way! 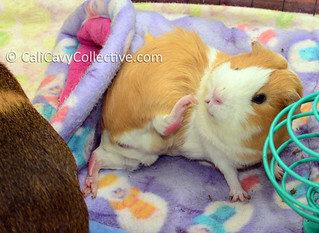 its like the piggy version of Yoga!